Showing results 6 - 10 of 14 for the category: Podcast. 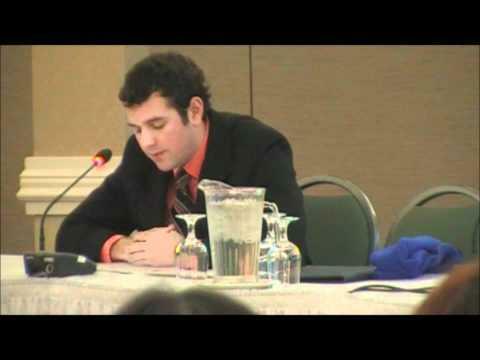 You’ll remember Lee from the last Transition round-up, the young man in Prince Rupert in Canada who spoke out at a hearing about a proposed pipeline, and who is also active in founding Transition Prince Rupert. I recently interviewed him, and the content of that will emerge in a three separate pieces over the next few days. Originally it was to be part of the March podcast, but it was so interesting, that they will replace this month’s podcast. To start with though, here are his thoughts when I asked him how he thought Transition initiatives might best engage more young people (Lee is 26). It’s the February podcast – the Bristol Pound, resilience surveys and a Transition newspaper! This month’s Transition podcast takes a deeper look at some of the best stories from last month’s roundup of what’s happening in Transition, at the latest developments with the Bristol Pound which grabbed the headlines this week, ahead of its formal launch at the end of May, at the work of Jamaica Plain New Economy Transition in the US who recently carried out a ‘resilience survey’ among the local community, and catches up on the recent developments with Transition Network’s ‘Social Reporters‘ project, and their plans to create the first Transition Newspaper! It’s less than a week to go until ‘In Transition 2.0’ is previewed in each of the places whose stories appear in the film. For example, it will be previewed in a fire station in Moss Side in Manchester, a community centre in Lyttelton in New Zealand that was one of only a few buildings there to survive the earthquake (their screening starts at 9am), a Hindu temple in Tooting in London, a ‘Cinema Paradiso’ in a village in rural India, and in a village hall in Japan (see here for the full list of previews). I caught up with producer Emma Goude to ask her 5 quick questions about the film. It’s the December Transition podcast! Community energy companies, farms and resource centres! Transition Llambed (Lampeter) who have just taken on a 20 year lease from their local council for their local hall, and have great plans to turn it into a Transition resource centre and farmers’ market. At just over 15 minutes in length it’s rich with stories, inspiration and the voices of people out there doing Transition on the ground. You can play it here, or download it to listen to on the train, while you’re cooking, or out running. We do advise against listening to it whilst swimming though, on health and safety grounds. Do let us know what you think…. Discussion: Comments Off on It’s the December Transition podcast! Community energy companies, farms and resource centres!